Beijing’s “distortion” of the Basic Law in justifying the Express Rail Link’s joint checkpoint arrangement has greatly undermined Hong Kong’s rule of law, legal experts have warned. 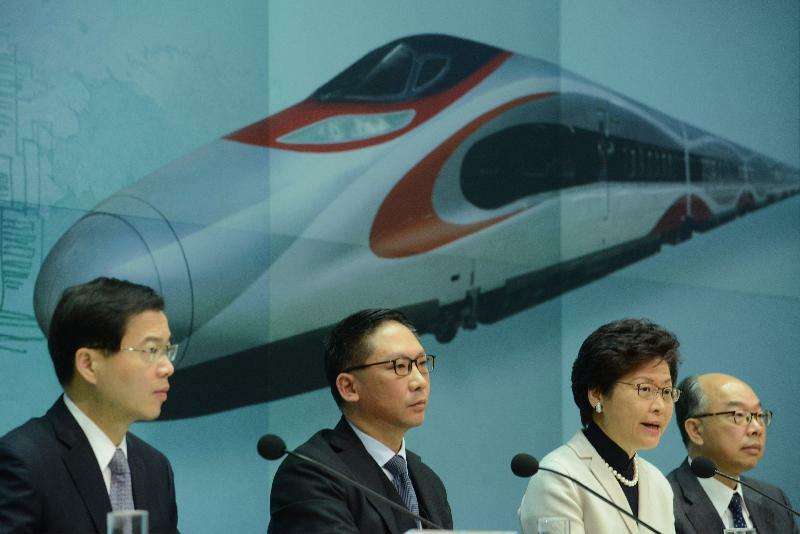 Hong Kong’s senior officials answered journalists’ questions on Wednesday about the joint checkpoint plan. Photo: HKGov. On Wednesday, China’s top legislature – the Standing Committee of the National People’s Congress (NPCSC) – approved the plan following a unanimous vote and months of controversy. 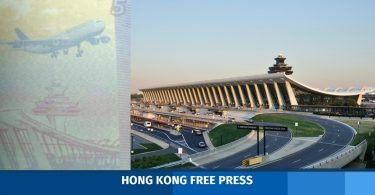 Hong Kong will effectively surrender its jurisdiction across a quarter of the new West Kowloon terminus, where immigration procedures will be performed by mainland law enforcement agents. Some of the city’s top lawyers – Philip Dykes, Lawrence Lok and Johannes Chan – said in a joint statement on Thursday that the decision failed to justify the controversial plan with a sound legal basis. “The current co-location arrangement is in direct contravention of the Basic Law and if implemented would substantially damage the rule of law in Hong Kong,” they said. Legal scholars have long warned that the arrangement potentially violates the city’s mini-constitution. Article 18 states that Chinese laws are not to be applied in Hong Kong aside for those listed in Annex III, such as the national flag and emblem law. The NPCSC decision stated that the plan would not violate the Basic Law because it concerned only part of Hong Kong, while Article 18 refers to situations where the whole of Hong Kong is affected by Chinese law. Therefore, it said, Article 18 does not apply to the mainland port of the terminus, allowing China to have full jurisdiction over the area. The barristers’ joint statement said Article 18 was clearly written and leaves no room for any interpretation which would allow Chinese law to apply in a certain part of the SAR. 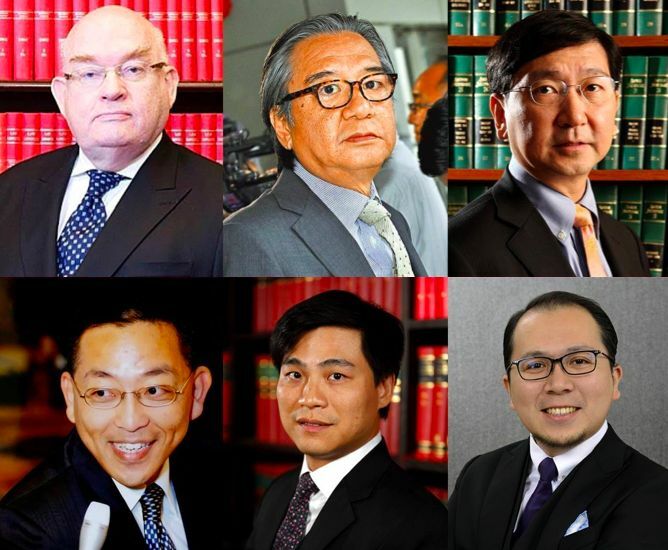 Joint statement by Senior Counsel Philip Dykes, Lawrence Lok and Johannes Chan, and barristers Erick Shum, Randy Shek and Joe Chan, who are running for the Bar Association election. Photo: Philip Dykes’ List, via Facebook. 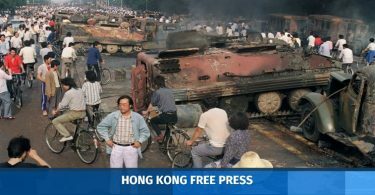 The decision also cited a number of Basic Law articles to support the arrangement, such as socio-economic provisions and the provision that guarantees Hong Kong a high degree of autonomy. But the barristers said the articles were taken out of context. They said these general provisions are insufficient to override “specific and clear provisions” such as Articles 19 and 22, which state that Hong Kong has independent judicial power and that mainland personnel in Hong Kong are subject to its law. “The rule of law will be threatened and undermined if the clear meaning of the Basic Law can be twisted and the provisions of the Basic Law can be interpreted according to expediency and convenience,” they said. 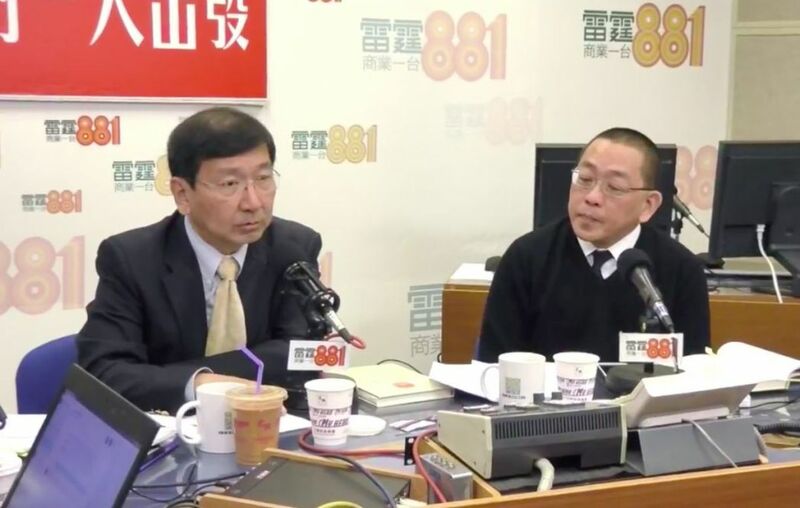 Describing China’s view on the rule of law as “premature,” Johannes Chan said on a Commercial Radio show on Thursday that Beijing believes it can interpret the law – including its own constitution – however it likes to suit its purposes. “This is the characteristic of Chinese law, and is exactly what we worried the most about when the Basic Law was being drafted,” the law professor said. Law professor Johannes Chan (left) and barrister Erik Shum (right). Photo: Commercial Radio screenshot. Barrister Chris Ng of the Progressive Lawyers Group told HKFP that his group was “very angry” at Beijing’s handling of the matter and at the Hong Kong government for allowing it to happen. Critics have voiced concerns over the application of Chinese criminal law in the mainland port of the West Kowloon terminus, with some worried that the Chinese authorities may take dissidents away and try them on the mainland. Barrister Erik Shum said the scenario is not impossible. He also criticised Li Fei for telling critics to not take the train as a solution. The government has also compared the plan with the Shenzhen Bay Control Point, an immigration checkpoint between Hong Kong and China. Part of the control port was leased to Hong Kong, thereby allowing Hong Kong law to apply in areas belonging to China. 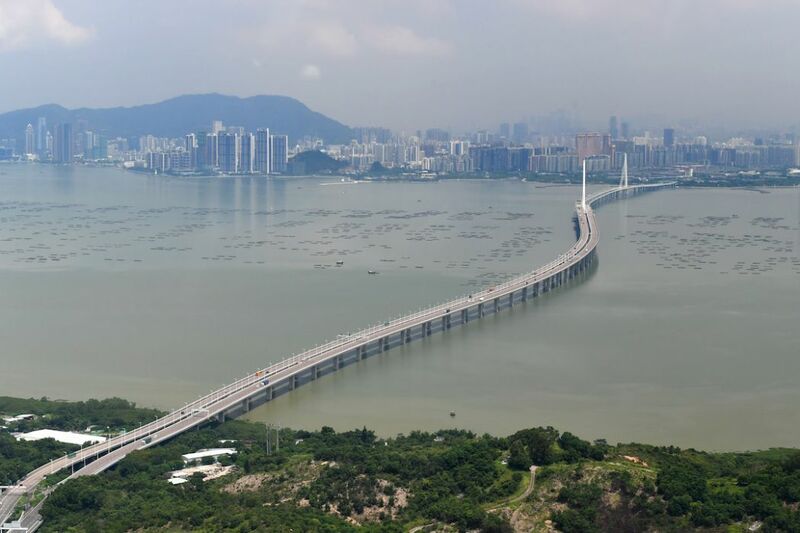 Bridge from Hong Kong to Shenzhen Bay control point. Photo: GovHK. But Chris Ng said that the current plan is a “completely different story” and is incomparable to the Shenzhen Bay example. Article 20 of the Basic Law allows the NPCSC to give Hong Kong additional powers, such as the power to exercise jurisdiction outside Hong Kong. Local courts have also affirmed this application of the law. “However, the same cannot be said about China exercising jurisdiction in Hong Kong, which is not supported by any provisions in the Basic Law,” Ng said. He said the only proper way of implementing the West Kowloon checkpoint mechanism is to amend the Basic Law in accordance with Article 159, a power that Beijing has never invoked in the history of Hong Kong SAR. “I don’t know why Beijing doesn’t want to go through this route, but it must admit that the arrangement is incompatible with the Basic Law framework unless it is amended,” he said. But the barrister, who represents his professional group in an alliance of around 100 civil society groups against the plan, said the fundamental issue is that Hong Kong people do not trust the Chinese legal system and its understanding of the rule of law. “The One Country, Two Systems principle is why people are still living and doing business in Hong Kong. Without the rule of law, this policy will collapse,” he said.